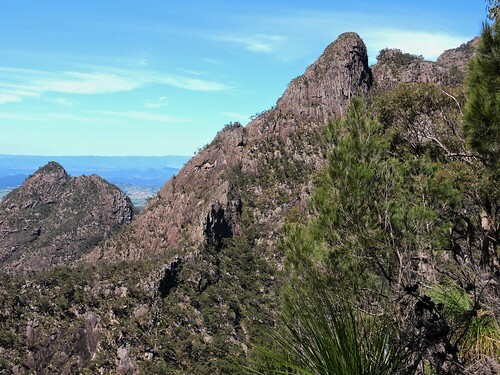 There are generally two ascent routes on Leaning Peak 1138m. Long Leaning ridge links up with Short Leaning ridge before the final summit push. Long Leaning ridge continues down north westward (left) to meet Barney Ck near to the outlet from Barney Gorge.